The practice of administering to allergic patients gradually increasing doses of an allergen to achieve and maintain hyposensitization toward the allergen. CPT Code 95165 is from the Medicare physician fee schedule for allergy immunotherapy. after discontinuation of grass pollen immunotherapy in childhood (Allergy 2002 57:4 306). Mechanisms of allergen-specific immunotherapy (click to enlarge the image). CD27 expression on allergen-specific T cells may be a new surrogate for successful allergen-specific immunotherapy (JACI, 2012). Successful immunotherapy is often associated with a shift from TH2 to TH1 CD4+ lymphocyte immune response to allergen. However, increases in allergen-specific IgG blocking antibody titer are not predictive of the duration and degree of efficacy of immunotherapy. Subcutaneous immunotherapy (SCIT) was first introduced by Leonard Noon in 1911. There is a small but real risk of IgE-mediated reactions, including anaphylaxis and death. Systemic reactions occur in 0.05-0.6% of doses administered. Other terms that have been used for allergen immunotherapy are hyposensitization, allergen-specific desensitization, and the common terms allergy shots or injections. Major allergen refers to any antigen that binds to human IgE sera in more than 50% of patients in a clinically sensitive group. Vaccine, or allergen vaccine, is the recommended term for the therapeutic preparations used in allergen immunotherapy. Extracts, or allergen extracts, are solutions of proteins and glycoproteins extracted from source materials such as pollen, mold cultures, and pelt. Desensitization is a process by which effector cells are rendered less reactive or nonreactive to IgE-mediated immune responses by the rapid administration of incremental doses of an allergenic substance. Rush immunotherapy: incremental doses of allergen are administered at intervals varying between 15 to 30 minutes and 24 hours, until the optimal effective dose is achieved. Modified rush immunotherapy: subcutaneous allergen injections are administered at 24-hour intervals. Cluster immunotherapy is the administration of two or more injections per visit to achieve a maintenance dose. It is a type of rush immunotherapy characterized by the giving of several allergen injections in a single day of treatment. – Conventional SCIT involves receiving injections with increasing amounts of the allergen. Injections ranges from 1 to 3 times a week.The duration of generally ranges from 3 to 6 months at a frequency of 2 times and 1 time per week, respectively. – Cluster immunotherapy is an accelerated build-up schedule that entails administering several injections at increasing doses (generally 2-3 per visit) sequentially in a single day of treatment on nonconsecutive days. The maintenance dose is generally achieved within 4 to 8 weeks. – Rush immunotherapy is an accelerated immunotherapy build-up schedule that entails administering incremental doses of allergen at intervals varying between 15 and 60 minutes over 1 to 3 days until the target therapeutic dose is achieved. SCIT 1 or 2 times per week with a schedule that contains fewer total injections than are used with conventional immunotherapy. 2 or more injections are given per visit on nonconsecutive days. The injections are typically given at 30-minute intervals. The patient can reach a maintenance dose in 4 weeks. The cluster schedule is associated with the same or a slightly increased frequency of systemic reactions compared with immunotherapy administered with more conventional schedules. The occurrence of both local and systemic reactions to cluster immunotherapy can be reduced with administration of an antihistamine 2 hours before dosing. administering 7 injections over the course of 4 hours. Ultra-rush immunotherapy schedules have been described for stinging insect hypersensitivity to achieve a maintenance dose in as little as 3.5 to 4 hours. The maintenance phase begins when the effective therapeutic dose is reached. Once the maintenance dose is reached, the intervals between the allergy injections are increased. The dose generally is the same with each injection, although modifications can be made based on several variables (ie, new vials or a persistent large local reaction causing discomfort). The intervals between maintenance immunotherapy injections generally ranges from 4 to 8 weeks for venom and every 2 to 4 weeks for inhalant allergens but can be advanced as tolerated if clinical efficacy is maintained. - Maintenance concentrate - preparation that contains individual or mixtures of manufacturer’s allergen extracts intended for allergen immunotherapy treatment. A maintenance concentrate can be composed of a concentrated dose of a single allergen or a combination of concentrated allergens to prepare an individual patient’s customized allergen immunotherapy extract mixture. - Maintenance dose (effective therapeutic dose) - the dose that provides therapeutic efficacy without significant adverse local or systemic reactions. The effective therapeutic dose may not be the initially calculated projected effective dose. - Maintenance goal (projected effective dose) - the allergen dose projected to provide therapeutic efficacy. The maintenance goal is based on published studies, but a projected effective dose has not been established for allergens. Not all patients will tolerate the projected effective dose, and some patients experience therapeutic efficacy at lower doses. The average duration of immunotherapy is 3-5 years. - BAU (Bioequivalent Allergy Unit) is based on ID(50) EAL method. 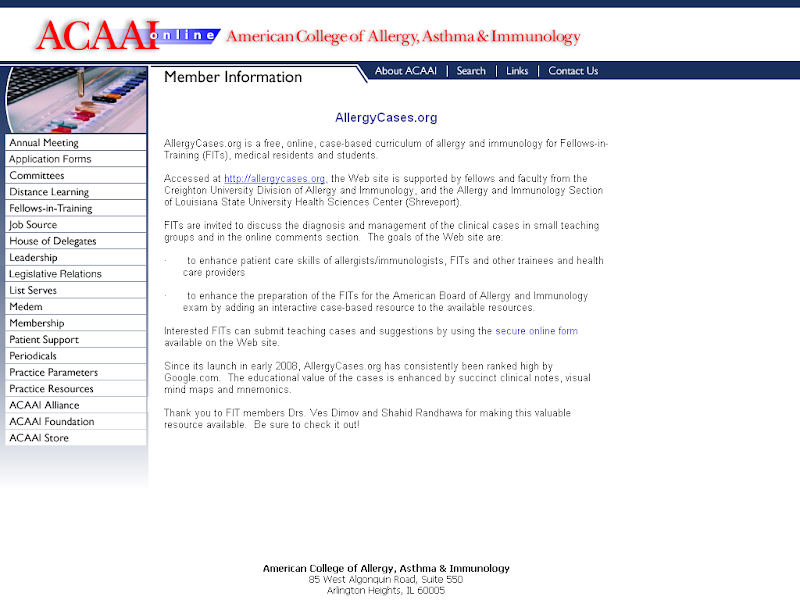 - AU (Allergy Units) was used before BAU and is based upon the major allergen content. Dust mites have AU=BAU. - Major allergen: Amb a 1, (One FDA unit of Amb a 1 equals 1 mg of Amb a 1, and 350 units of Amb a 1/mL is equivalent to 100,000 BAU/mL). Can f 1 allergen now is also standardized. - Dust mite – Use 1 ml of each type & 2ml (max) (5000 AU/ml). If dust mite concentration is 10,000 AU/ml, then use 0.5ml of each type. Commercial honey bee venom vaccine is prepared from venom obtained by electrical stimulation. Commercial vespid venom protein vaccines are prepared by extraction of dissected venom sacs. sensitive, as indicated by history or skin test reaction. The frequency of allergen immunotherapy administration during the build-up phase is usually 1 to 2 injections per week. With this schedule, a typical patient can expect to reach a maintenance dose in 4 to 6 months. The interval between injections is empiric but might be as short as 1 day without any increase in the occurrence of systemic reactions. New vial - reduce dose by 50%. No need to reduce in venom SCIT. Systemic reactions - decrease to the last tolerated dose or even lower. The glycerinated allergen extract formulation is based on 50% glycerin. Extracts prepared in saline or buffer solutions with less than 50% glycerin are referred to as aqueous. Most standardized allergenic extracts are available only as glycerinated products. For most of the standardized products the expiration date is three years from the date of manufacture. The only standardized aqueous product, short ragweed extract, has an expiration dating of 12 months from the date of manufacture. Extracts with a particular wt/vol or PNU potency can have widely varying biologic activities. Outdoor molds: Alternaria, Cladosporium, Drechslera (Helminthosporium). Indoor molds: Penicillium and Aspergillus - they also have the highest extract protease concentration, in the 200s mcg range. Cockroach extract has a protease concentration of 168 mcg. Alternaria is 29 mcg and house dust mite is less than 5 mcg. VIT with 300-mcg doses of mixed vespid venom provides 98% efficacy. Honeybee VIT is 75% to 85% effective. VIT is generally not necessary in children 16 years of age and younger who have experienced cutaneous systemic reactions without other systemic manifestations. Adults who have experienced only cutaneous manifestations to an insect sting are generally considered candidates for VIT, although the need for immunotherapy in this group of patients is controversial. Because the natural history of fire ant hypersensitivity in children who have only cutaneous manifestations has not been well elucidated and there is increased risk of fire ant stings in children who live in areas where fire ants are prevalent, immunotherapy might be considered. Allergen immunotherapy is usually not initiated during pregnancy because of risks associated with systemic reactions and their treatment (ie, spontaneous abortion, premature labor, or fetal hypoxia). The initiation of immunotherapy might be considered during pregnancy for a high-risk medical condition, such as anaphylaxis caused by Hymenoptera hypersensitivity. When a patient receiving immunotherapy reports that she is pregnant, the dose of immunotherapy is usually not increased, and the patient is maintained on the dose that she is receiving at that time. Allergists should provide an EpiPen prescriptions to all patients on SCIT. Allergen-specific immunotherapy for respiratory allergies: From meta-analysis to registration and beyond. JACI, 2010. Allergen Immunotherapy: A History of the First 100 Years. Medscape, 2011. Immunotherapy can provide lasting relief - AAAAI info sheet for patients (PDF). Pollen immunotherapy induces allergen-specific IgG antibodies with inhibitory activity against IgE that are persistent. JACI, 2011. Your allergy meds may be making you fat - Regular use of OTC antihistamines has been linked to weight gain. NBC, 2011. SCIT ("allergy shots") is at least as potent as pharmacotherapy in controlling the symptoms of allergic rhintis as early as the first season of therapy. JACI, 2011. Best Immunotherapy for Allergic Rhinitis and Asthma: SCIT or SLIT? SCIT is likely more effective, SLIT is safer. Medscape, 2011. Allergen-specific immunotherapy. Allergy, Asthma & Clinical Immunology 2011, 7(Suppl 1):S5.